If you’ve been hanging around these parts for a little while, you’ve probably heard me say (just a few times!) 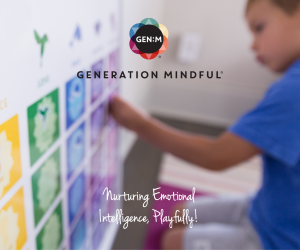 that connection is at the heart of everything we do as mindful parents. This is because creating a connection with our child helps them feel loved and accepted. But it also helps them form a secure attachment to us. 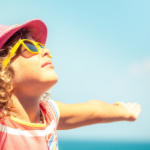 It is this secure attachment that helps them develop the skills they need to navigate their world, and their future relationships, with confidence and ease. Some of you may hear the word attachment and think automatically of attachment parenting. This is a parenting style that promotes a particular set of strategies that are reported by its proponents to improve attachment. Things such as breastfeeding, co-sleeping and baby wearing. But I want to be very clear here. Attachment, and attachment theory, is not the same as attachment parenting. A parent can do all of the things associated with attachment parenting, and still not build a secure attachment with their child. A parent can also do none of these things, and raise a very securely attached child. There are many different ways to build secure attachment. It is not about the style of parenting you choose, it is about the relationship you nurture with your child. So if attachment parenting works for you, that’s great. But if it doesn’t, thats great too. Now, with that out of the way, let’s talk about what attachment actually is! Quite simply, attachment is about the emotional bond a child has with his or her caregiver. It is about more than just connection, though. This bond between child and caregiver means that they seek each other out, have a desire to be close to each other, and become distressed when they are separated. This bond is dependent on the physical and emotional availability of the primary caregiver, and their ability to meet the needs of the child. When a primary caregiver is available, physically and emotionally, and is responsive to a child’s needs, that child is able to feel safe and secure. This feeling of safety means that the child is able to confidently explore their world. They are secure in the knowledge that they can return to the caregiver, and to a secure base, for comfort and nurturance as needed. Researchers have identified four patterns of attachment behaviour. One that represents secure, or ideal attachment, and three insecure types. Our attachment style in childhood often correlates with, and has an impact on our attachment style as adults. BUT not always. There are many opportunities in our lives to change our attachment patterns. They are not fixed, and can definitely change as we, or our children, grow. Securely attached children feel confident in their caregivers ability to meet their physical and emotional needs. They feel upset when separated from a caregiver, but are happy and easily comforted by them when they return. They seek caregivers out when they need comfort or reassurance, and clearly prefer them over strangers. 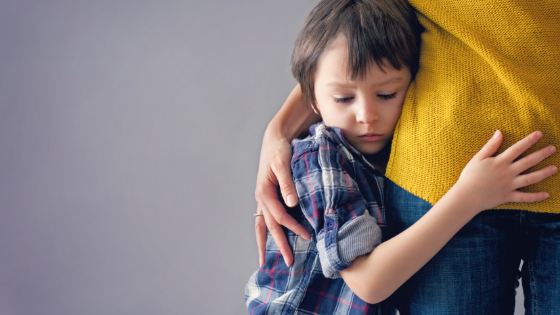 A child with ambivalent attachment is often particularly fearful of strangers and becomes highly distressed when their caregiver leaves them. However, they are generally not comforted by the return of their caregiver either, and may become aggressive towards them instead. This attachment style is often associated with poor maternal availability – these children are not confident in their caregivers ability to meet their needs. Children with avoidant attachment tend to show no preference between their caregiver and a complete stranger. They do not seek out comfort from their caregivers, and in fact, these children tend to avoid their primary caregiver. This type of attachment can sometimes be related to more punitive styles of parenting. A child who is punished for relying on a caregiver will avoid doing so in the future for fear of further punishment. Children with disorganised attachment show no clear pattern of attachment. They may both avoid and resist their caregiver, and often seem confused or apprehensive about their presence. This may be due to inconsistent caregiving, where the child does not know what to expect from a caregiver. This style of attachment is generally associated with severe abuse or trauma in early childhood. Research tells us that early attachment matters. For starters, a secure attachment to a parent as an infant ensures the child remains in close physical proximity to a caregiver. This quite literally ensures that child’s survival. And a strong emotional bond ensures that a child has a secure base from which to explore the world. They are safe in the knowledge that they can return to their caregiver for comfort and reassurance whenever they need it. It creates independence and confidence and helps children build emotional intelligence. 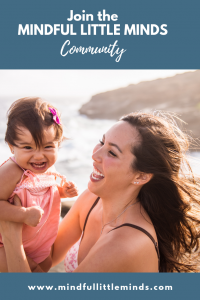 Research has shown that children with secure attachment to at least one primary caregiver in early life have more positive outcomes as they move through life. As adults, they tend to be more socially competent and trusting of others. They are able to seek out social support and share their feelings with people. They have higher self esteem and better social and romantic relationships. They tend to perform better in school, are physically healthier, and experience less depression and anxiety. As I said earlier, building a secure attachment with your child is about nurturing your relationship, not about prescribing to any one parenting style. However, mindful parenting is very much about nurturing that relationship. 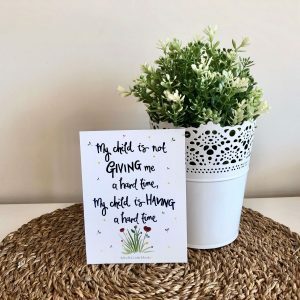 You’ll see below that the main tenets of mindful parenting will certainly help to guide us when it comes to building a strong attachment with our children. Here are four ways you can create a securely attached child and build a trusting, safe relationship with them. First things first. If we want a strong, secure attachment with our kids, we need to be there physically. Spend time with them, play games, read stories, have conversations, show up to the soccer games and dance recitals, and tuck them into bed at night whenever you can. We cannot feel attached to someone who is not physically available. But we also need to make ourselves emotionally available. Which means we need to be fully present. Not distracted by our phone, or our emails, or watching TV while they talk to us, or preoccupied with our own worries and concerns. When we are with them, we need to be fully present and in the moment. This demonstrates to our child how much we enjoy our time with them and that we delight in being with them. When our children are small, their needs are fairly straight forward. You know they need food, nappy changes, sleep and cuddles. As they grow, their needs start to become more complex, and more difficult to meet. But it is still vital to meet both their physical and emotional needs to the best of our ability. What does this look like? Well, it depends on the situation and it depends on your unique child. Meeting their physical needs is still relatively straightforward of course, but we sometimes need help to identify their emotional needs. This is about helping children understand, process and organise big feelings that they are still too young to manage alone. Many times, children will tell us what they need emotionally, not with words, but via their behaviour. This can be difficult for parents to decipher. Now, meeting your child’s emotional needs does not mean you give them everything they want! 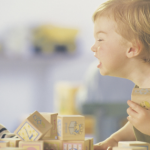 Sometimes your child’s behaviour indicates that they need you to set firm limits and boundaries. Sometimes it indicates that they need more independence. Sometimes it indicates that they need more closeness. And sometimes they simply need someone to listen and be with them. When we respond with empathy to our children, they learn that we are safe, and they can come to us for comfort when they need it. Sometimes they need us to help them solve a problem, but sometimes they simply need someone to express their hurt and upset to. When we respond with empathy, they know that can come to us for comfort and support. Even in the difficult moments, and even when they require discipline and boundaries. We become a secure base for them to return to. This gives them the confidence they need to explore their world independently, knowing they can return to us at any time. It is vital for the physical, emotional and social development of our children that they are allowed space to explore their world independently. Growing brains need to take risks in order to learn and grow. Social skills are built through social interaction. Children learn to manage emotions by experiencing ALL emotions. Allow them to explore. Allow them to fail. It is these failures and setbacks that allow them to flourish. If we have created a secure, warm base for them to return to, they will feel confident to explore. And when they encounter a setback, they will return to us, to have their need for comfort and security fulfilled. No one is responsive to their child’s needs ALL of the time. Sometimes we won’t be able to meet their needs. Sometimes we’ll get it wrong. This is part of the learning process, for us, and for them. This process is sometimes referred to as “rupture and repair”. When we make mistakes, and then make amends, we teach our children important lessons. Lessons about navigating real life relationships, about managing emotions, about dealing with mistakes, and about being an imperfect human being. After all, one of the main principals of mindful parenting is compassion. Compassion for ourselves, and compassion for our children. Mindful parents are imperfect parents. Because here’s the thing: no one is perfect. So let’s teach our kids to embrace themselves fully, imperfections and all, by embracing our own imperfect selves. 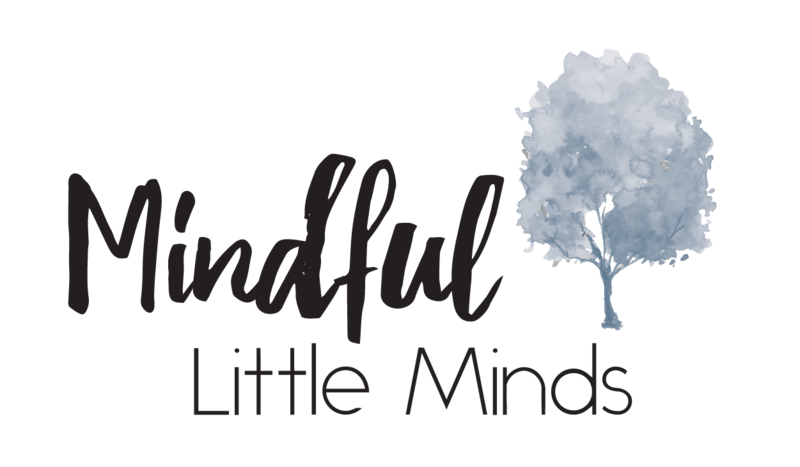 And if you’d like to learn more about mindful parenting, and about creating strong, secure and trusting relationships with your children, my brand new Mindful Parenting Course is coming soon!! Jump on over and pop your name on the the waitlist – there’s no obligation to purchase, and you’ll be the first to know when it’s ready to go!